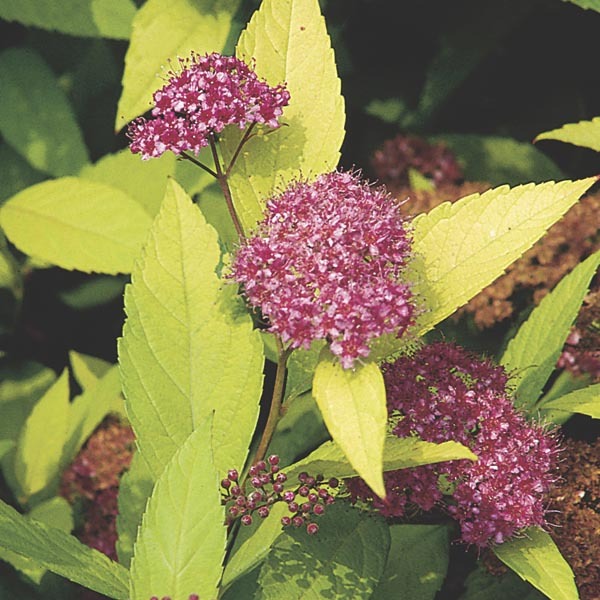 Charming dwarf mounded shrub with stunning golden foliage, and a summer display of purplish pink flowers. A light pruning after flowering will encourage more blooms. Display improves with each passing year!